Take your cards to the next level by embossing! With wonderful decorative effects that will add texture and dimension to your cards. Dry embossing is raised or recessed designs on the paper. It is created with an embossing or die cutting machine and textured embossing folders. Sizzix and Cuttlebug are two of the most popular brands on the market. Both are operated by a crank handle on the side of the machine. 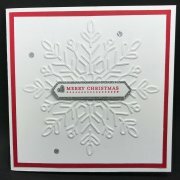 Simply "sandwich" the card into an embossing folder and add different plates. Each machine will have it's own instructions for making the "sandwich". Just feed the "sandwich" into the machine by turning the handle. This squeezes the folder between two rollers to create a 2 D image on the card. Sizzix recommends that the folder is fed into machine hinge side first. There are a multitude of embossing folder designs on the market from flowers to brick and wood effects. The choice is enormous! New heavy dynamic folders produce an awesome 3 D effect with realistic textures. 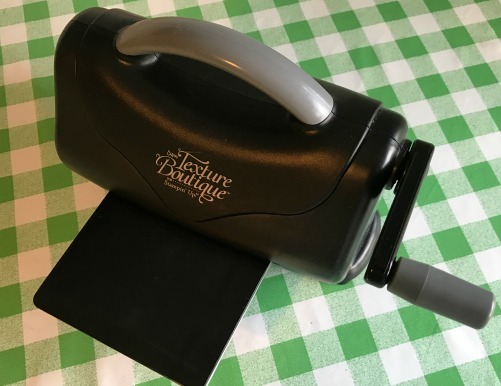 Have a look at Paper Die Cutting to find out other ways of dry embossing. Create the dry embossed effect by hand using stencils and an embossing tool. Embossed lines and borders can also be made with scoring board. 1. Place card into embossing folder and close. 2. 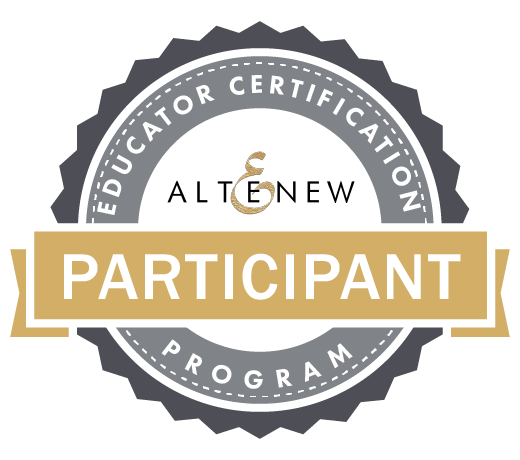 Create a "sandwich" with an embossing folder and embossing plates. 3. Feed the "sandwich" into embossing machine. Turn handle until the whole "sandwich" is through to the other side. 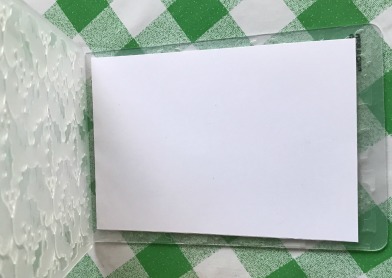 Remove embossed card from embossing folder. 4. 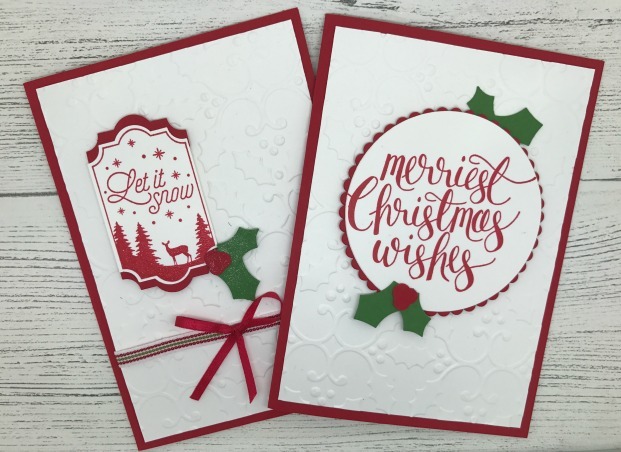 Embossed layers for Christmas cards. Open up an embossing folder. Ink the raised side using a brayer or sponge. Be carefully not to press too hard as you only want ink on the raised areas. Place a piece of card into the folder and close. Run through your embossing or die cutting machine to transfer the ink onto the card. Carefully remove card from the "sandwich" and allow card to dry. 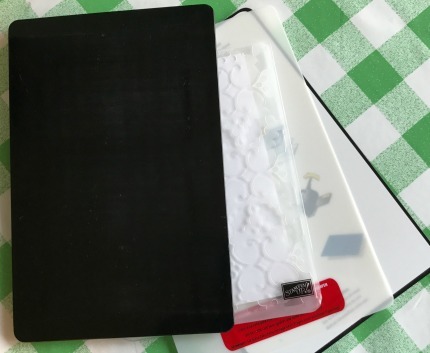 Clean embossing folder with water or a wet wipe. Emboss image onto a piece of coloured card with a white core card (eg: designer paper). Use a sanding block to gently rub off the top layer to reveal the white core. Emboss image onto a piece of vellum to create a translucent image. Either leave plain or colour the raised sections with markers. Cover a piece of card with extra thick aluminium foil and run through the embossing machine for amazing results. 1. 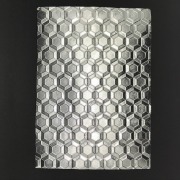 Aluminium foil dry embossed with a 3D embossing folder. 2. 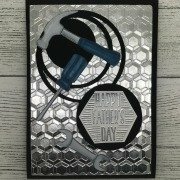 Mounted and made into a Father's Day card. Sentiment heat embossed with silver embossing powder.